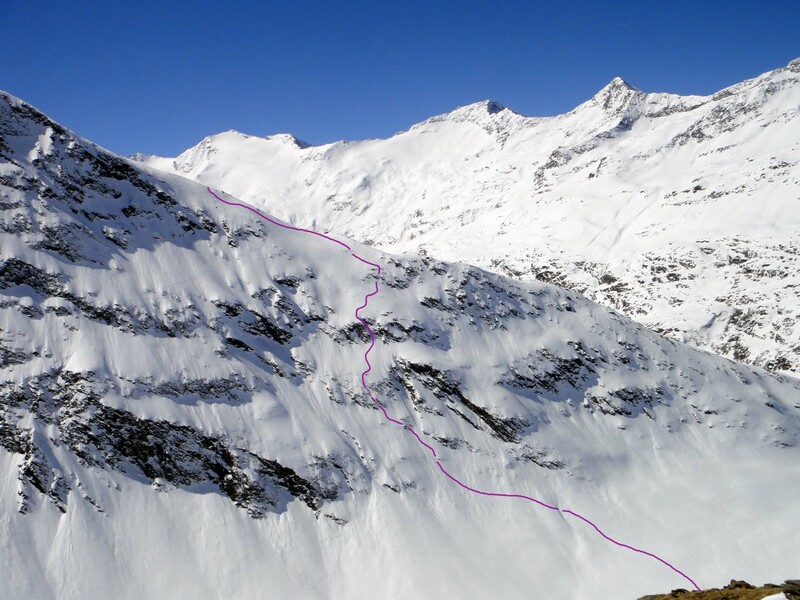 The face in Hochgugl/Obergurgl the ‘Hangerer’, is extremely steep and rocky, a perfect, technical face. It’s bigger than it seems and very hard to orientate as it’s rolling in the top part. From the start gate and also during the hike up, one can’t really check the line. This leads to a very exciting atmosphere at the start, I never felt that nervous before, and even some minutes before the start I wasn’t really sure if I would actually find my line and if there would be still snow in it. So it was an interesting situation, because I had to trust in my capabilities I acquired over the years. The Face check took place on Friday, the 28th of March and as the forerunner rode down the face, we were able to understand the huge dimensions of the face, which was really helpful. 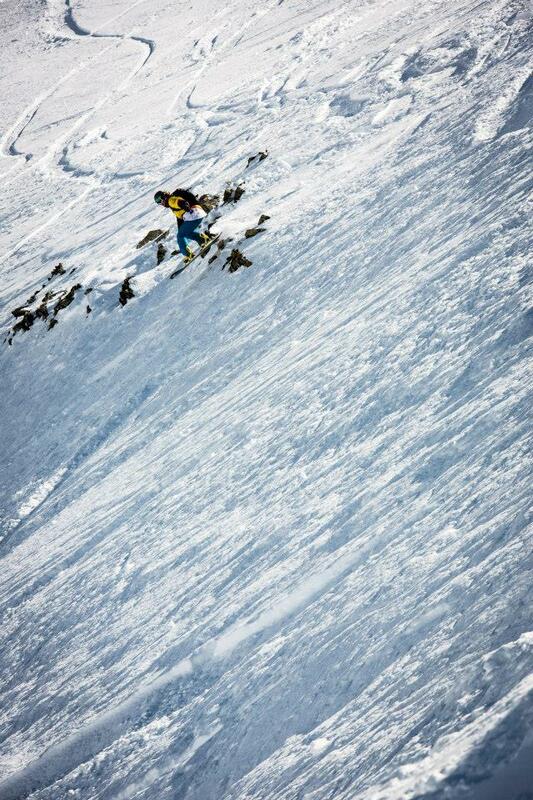 The snow conditions in the face were pretty good, there was approximately 20cm of pow on a layer of harder packed snow. Because of that there were massive amounts of sluff and the organizers decided to let the guys start first. The night before the contest we got a rider’s Dinner up at the Festkogelalm, where we rode up with the cable car and ate a bunch of noodles. Dinner before the Contest day is always really important for me, as I’m normally sleeping not too well and even though I eat breakfast before a competition, it seems that the stress of the competition day is actually keeping the body from retrieving energy from food. 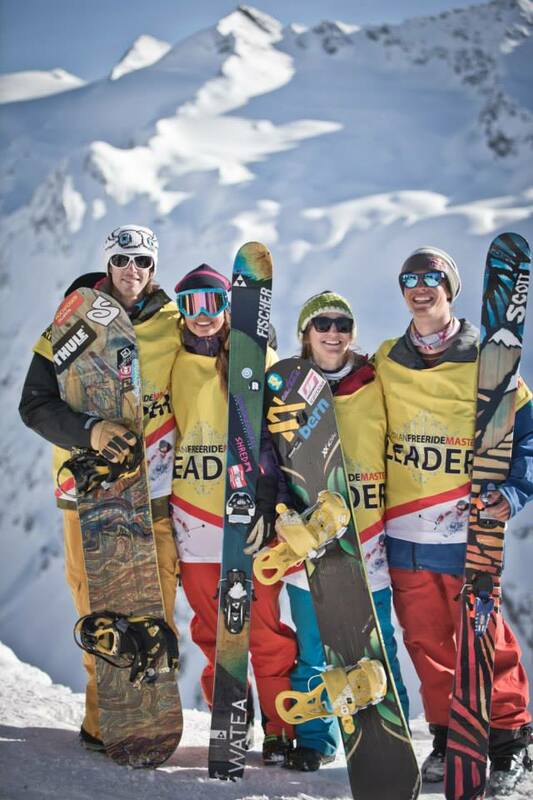 During the last Contests, Liz Kristoferitsch and me were close together in the ranking for the Austrian Freeride Masters. This time, it was premiere for me to start with the yellow bib of the current leader in the series. 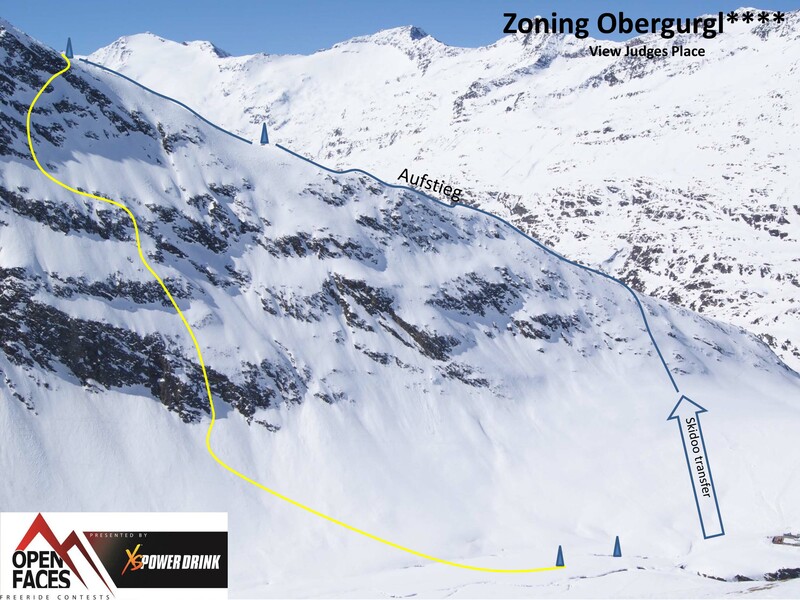 The Austrian Freeride Masters counts all the points in all Austrian Events from all Austrian riders together, according to the FWQ Point System. 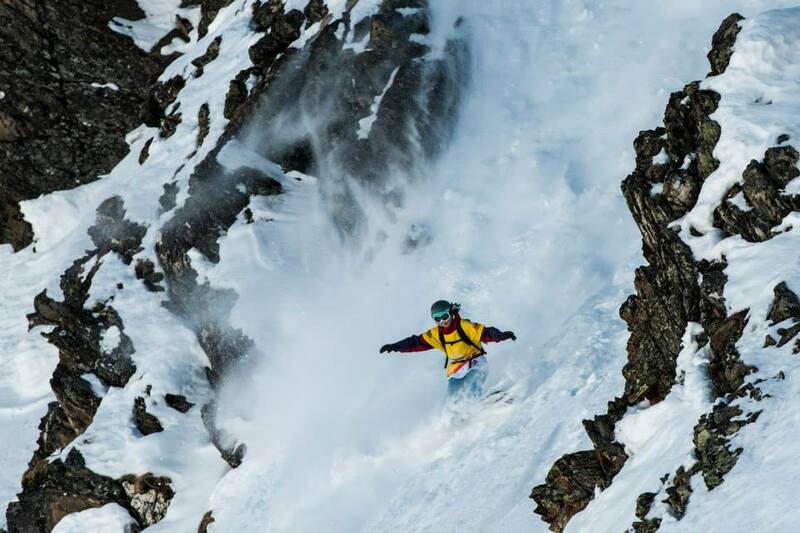 Me and Liz tend to choose the similar lines, we both like technical, steep sections but at the same time try to pick lines, where we can still ride with a maximum of fluidity. On the hike up we talked to each other, and it turned out we picked a similar line again. Whatever, during the ascent it’s too late for me to change my line, as I’ve visualized everything already and memorized my markers in the face. And my alternative line seemed a bit stupid. In the section after the narrow couloir between the rocks I had some problems because of the sluff, as I took a slightly different entry than planned, but in my upper section I stomped a proper cliff. 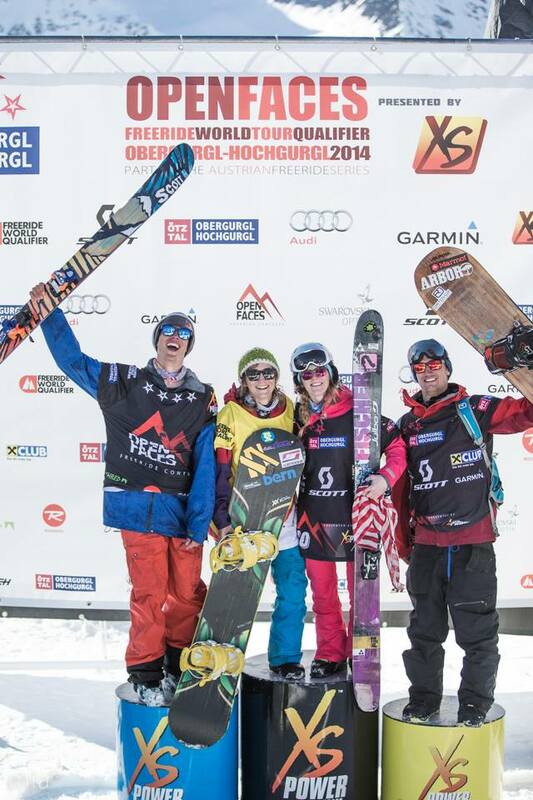 It was the winner run at the girls:) I really appreciate the level the snowboard women showed, there was a variety of lines, very creative ones (eg: Mikaela Hollsten)but also steep, technical lines (eg: Liisa Korpela and Daniela Hochmuth). And I’m proud of myself, that I was able to show a good run despite the pressure of the canary bird bib. 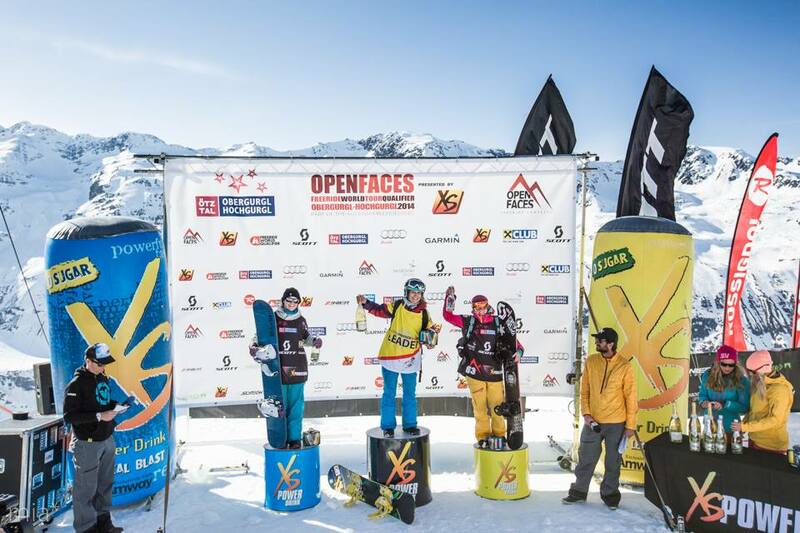 That win secured the overall win of the Austrian Freeride Masters for me. 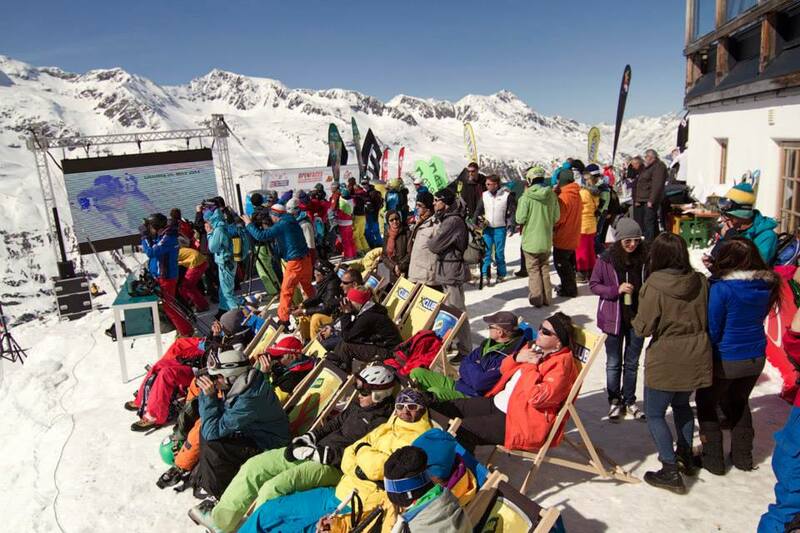 In the Womens Ski discipline Sabine Schipflinger won the trophy, in the Snowboards Men Flo Orley took the title the second time in a row, and in Ski Men’s category Fabian Lentsch, who also won at the FWQ****Open Faces Obergurgl/Hochgurgl is the Austrian Freeride Master. His run was amazing, watch it here. There is a pretty nice video of the event here. Happiness is ruling the world!